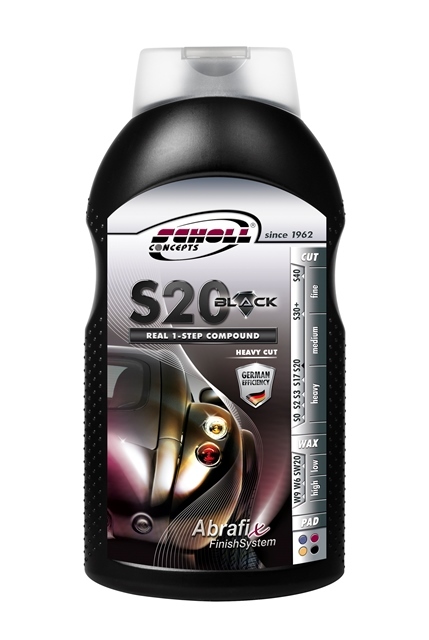 I have been thinking about how to approach the new S20 Black REAL 1-STEP COMPOUND fairly. Whilst our testing is still underway, a great opportunity came to light the other day: A neglected Porsche Cayman requiring a multi-stage correction. 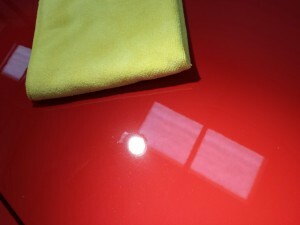 After a thorough wash and decontamination stage, it was time to polish the paint. 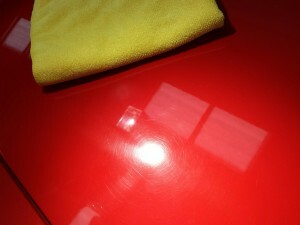 The client’s brief was simple: Remove 85 percent of the defects and add some gloss! 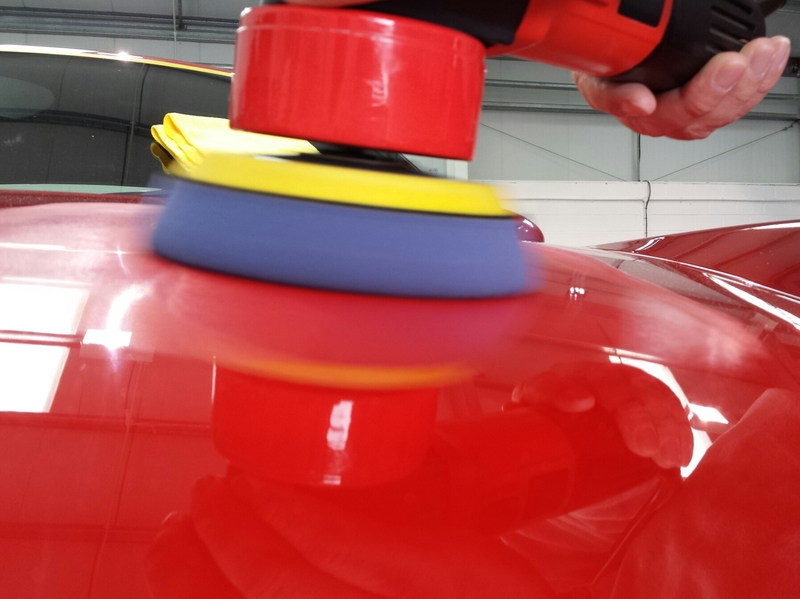 We have done many of these corrections to similar Porsches before and we already knew what was in store – a grabby heavy polishing stage, some pad hop, drying out and dusting of the compound. 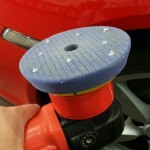 However, you’re typically rewarded with an easier second stage refinement by swapping out to a dual action polisher. 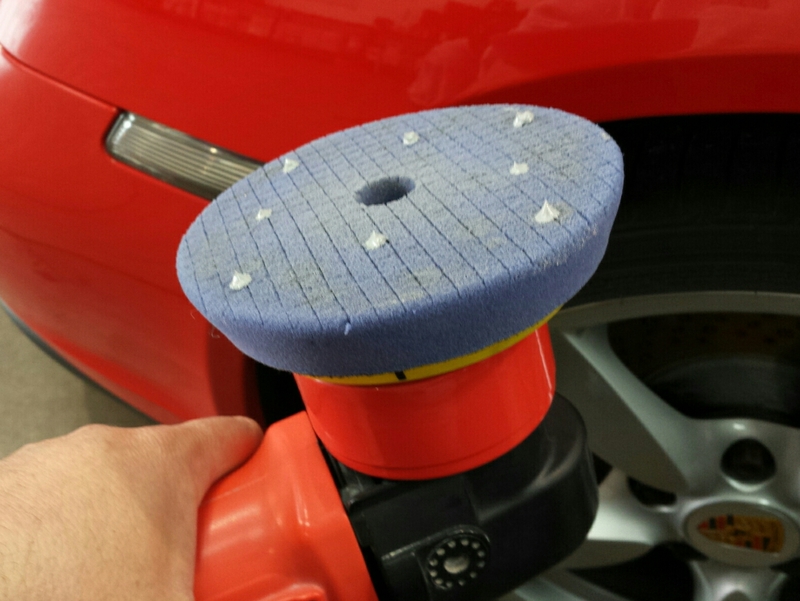 Whilst my colleague set to work with the rotary polisher, I took the opportunity to give the new S20 Black a test run by dual action polisher. These new compounds and pads are rapidly closing the gap in performance once held by the rotary polisher and I was keen to see what could be achieved. 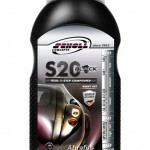 I chose to pair the S20 Black with the new Navy Blue heat-resistant SpiderPad (SC-20373). This can only be described as a very firm pad, and I’m not sure how many times we will use it, but this was our first chance to pair these two new exciting products together. 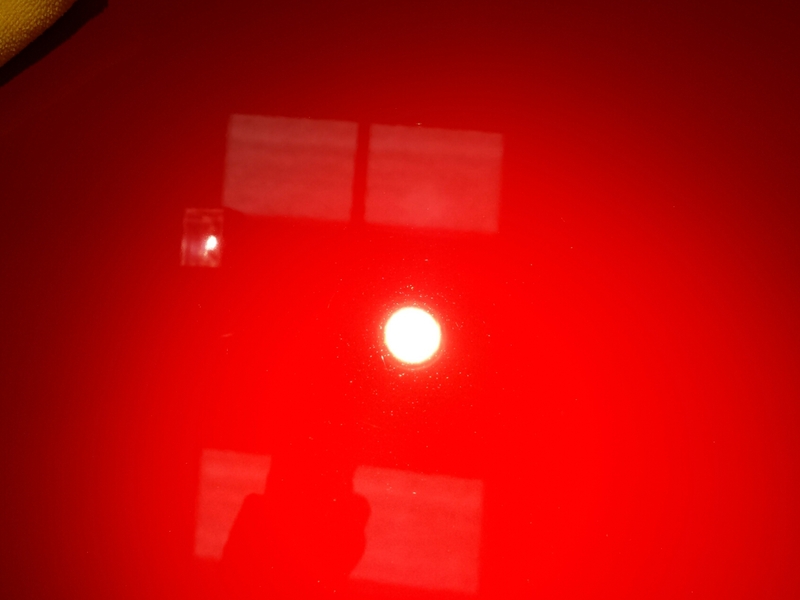 Paintwork: On inspection, plenty of defects to repair (pic right). Everything from light swirls and heavy machine marks from a previous polishing attempt, right through to some quite heavy and deep scratches. I am still experimenting with this new type of SpiderPad, but multiple drops of compound seem to suit it rather than a full priming (see pad priming blog). We cleaned the pad between each polishing set using a combination of blowing the pad with compressed air and brushing to ensure consistent polishing. On to the polishing: The pad runs very smooth. It will fight you slightly over some contours, which is to be expected due to its hard nature. I stayed to a running time of around two-three minutes per polishing stage. I didn’t experience any pad hop, clumping of the polish and only a very light dusting (performing better than my colleague with the rotary polisher) it wiped down relatively easily revealing a near perfect correction. An alcohol wipe-down revealed great looking paint, good enough to pass off as finished in a single step. Impressive! I have some reservations on the hardness of the pad, especially on delicate paint edges, but for quick clean correction work on bulk sections it is definitely worth looking at.